I have had this blog article on my ever growing todo list. Now I am sitting in the airport waiting for a plane bound to Oslo, for the JavaZone conference. I guess airports manifest itself as good opportunities to write blog articles as you often tend to be without wifi, and have hours to kill. So CamelOne is the first conference which is solely focused on the integration space and having the Camel project as the "star of the show". 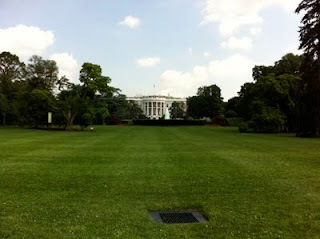 The conference took place in May 2011 in Washington DC. It was a full day event with 3 tracks, each having 5 sessions, and 3 key notes as well. So there is plenty of choices and great talks to go to. The agenda is online here. I attended the conference as a speaker, giving a talk, well of course, about Apache Camel. All the sessions was video recorded, and they are being put out in the public over the next course of time. The first number of videos is online, which you can find here. From a Camel point of view, we had the pleasure of having Gregor Hohpe giving the key note. Gregor is the "main" co-author of the definitive Enterprise Integration Patterns book, which is a record selling computer book. 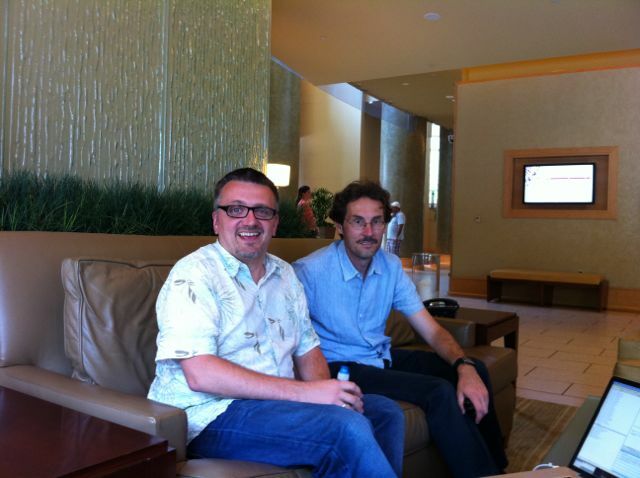 I snapped a photo of Gregor and James sitting in the lobby of the conference center. In fact these two individuals is the reason why we have the Apache Camel project today. Gregor wrote the EIP book, and James wrote Apache Camel. Well the story is that Gregor and James know each other. Gregor mentioned the background of why he got started on the EIP book, as well as the story how James got the idea of Camel, at a party they had at Gregor house, back then in San Francisco. James basically said that someone should write a software implementation of the EIP patterns. And well yes a bit later he said ... well ***** ** I am going to do it. Gregors keynote is online here. Gregor also talks about the possibility of a EIP II book (fingers crossed). 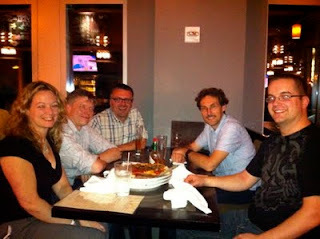 The day before the conference took place, we had dinner and drinks. On the picture we have Debbie, Scott, James, Gregor, and Jonathan from my table. I forgot to snap a photo of the other tables. 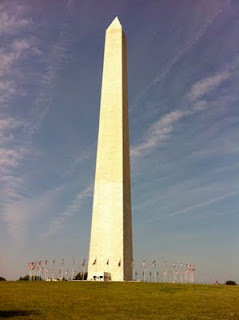 The day after the conference I had the pleasure of accompanying Gregor for a sightseeing tour in Washington. 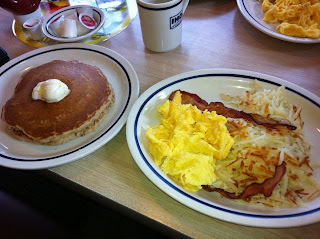 We started having a grand american breakfast at IHOP. So we got a stack of pancakes, hash-browns, egg and bacon. Getting to the city center is easy as we caught the subway. Gregor had a little dispute with a subway attendee whom disliked the fact Gregor was taking photos of the subway station. Anyway we managed to get into the centre and was soon out in the nice sunny weather. 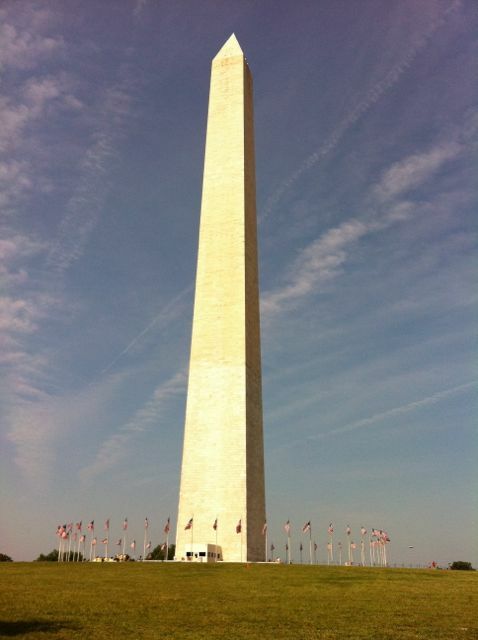 We made our ways to the Washington monument. I was impressed with the height of the sphere, and the sheer size of the bricks. After that we walked down past the white house, but needless to say, Mr Obama was not at home, inviting us in for a coffee and a talk about integration and open source in the public sector. 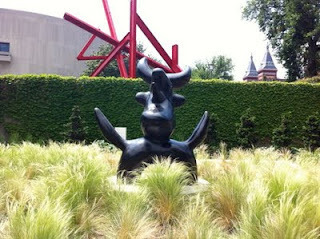 So we walked down the alley and found the Smithsonian museums. 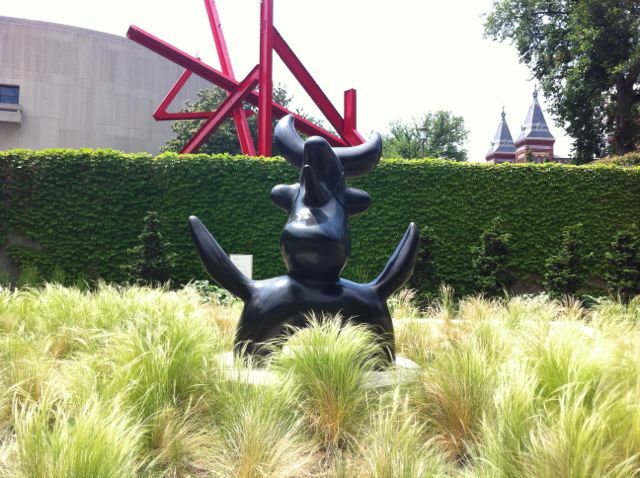 At first we walked a couple of parks having modern sculptures on display. 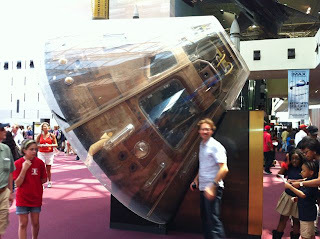 The aviation and space museum was just next door, so we did our last stop here. I am really impressed with this museum. There are countless of space rockets, the moon lunar lander, space suites, and whatnot. You can easily spend hours walking and seeing something new. We only managed to catch a glimpse of what the museum had to offer by walking the ground floor. So in the afternoon we made our way back to the hotel as Gregor had to catch an earlier flight than I. So I spend the next couple of hours at the hotel, talking to a number of conference attendees, who was on the 2-day training sessions. 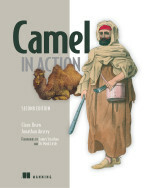 Among others I had the honor of a drawing the raffle for the prices of four Camel in Action books as free giveaways, which Manning was sponsoring. So the winners was able to have me sign their book as well. At about 6pm I hailed a cap, and went for the Dulles Airport, on my evening flight back to Europe. The CamelOne videos is being released online over the course of time. You can find them here. 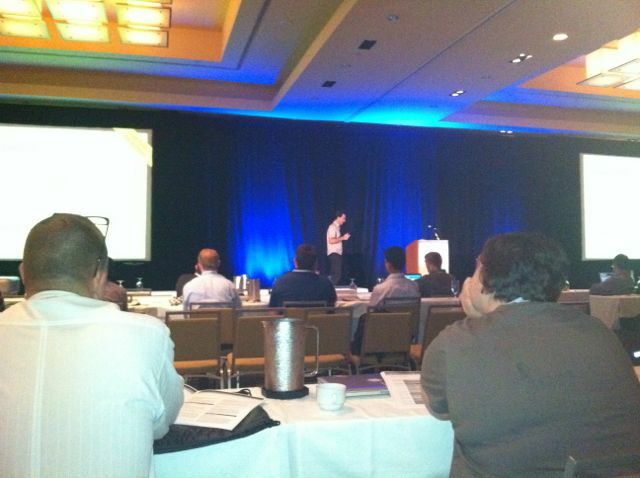 Hope to see you next year at CamelOne 2012.